Engravings by René Boyvin, 17.2 x 10.2 S, with margins above and below (London). Fuhring, 1989, 332, writing of the set of sixteen in Amsterdam, and with reference to J. Lieure, “René Boyvin: Additions aux catalogues de Robert-Dumesnil, Duplessis et Félix Herbet,” l’Amateur, IX, 1930, 2, 43-44, states that the set was first published with twenty prints; four plates were lost in an early phase: 5, Neptune; 6, Thetis; 15, Hercules; 16, Hebe; thus the set of sixteen has the last four renumbered as follows: 17, Bacchus, became no. 15; 18, Ariadne, became no. 5; 19, Vulcan, became no. 16; and 20, Pallas, became no. 6. I. The first of the series, Saturn, is inscribed: Leonardus Theodoricus / Inuentor. II. The name in I has been effaced and replaced with: Rous Floren. Robert-Dumesnil, VIII, 1850, 64-68, 119-134 (16 prints). Le Blanc, 1854-1888/90, I, 507, 112-127. Duplessis, 1871, 24 (additional print of Neptune). Destailleur, 1895, 95, no. 411, 1 (16 prints). Herbet, III, 1899, 36, 1-4 (includes the Neptune and three more, of Hercules, Thetis, and Hebe). Linzeler, 1932, 191-194. Levron, 1941, 77-78, 229-248, and Pls. LVI-LXIII (16 prints). COLLECTIONS: Amsterdam (De Jong and de Groot, 1988, 253-255, 579.1-16 [State I], Figs. 579.1, 4, 9, 16 [see Fuhring, 1989, 332, above]). 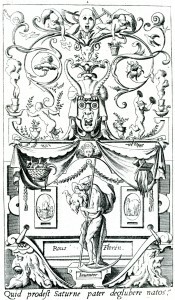 Berlin, Kunstbibliothek, OS 296 (16 prints, State II). Hamburg (State II). London, 1850-5-27-178 (Ariadne, no. 5). New York, 36.31.9 (16 prints, State II). New York, Cooper-Hewitt Museum (1945-70-5, 6, State II). Paris, Ed 3, in-folio, and Cb 8b, in-folio (State I). Rennes (Inv. 794.1.2189-2203). Vienna, F.I.3, pp. 36a-b, nos. 113-129 (State II). Renouvier, 1854, 919, probably means this set as Boyvin’s copies of Caraglio’s Gods in Niches. Berliner, 1925-1926, I, 130, 1-2; 131, 1-4; 132, 1-4; 133, 1; Text Volume, 43-44 (nos. 1-6, 9, 12-15 of the series, State I). Döry, 1960, 31, no. 129 (16 prints, State II). Wagner, 1979, 152-159, 268, Figs. 6-8. T.R. Hackford in Ornament, 1980, 32-33, nos. 29a and 29b, Pl. XVII (R-D. 119 and 120), as Boyvin after Thiry. Patrick Ramade, in Renaissance, Quebec, 1984, 292-294, Figs. (Rennes, State II), as Boyvin after Thiry. Lévêque, 1984, 34, Figs. (Rennes), as after Thiry. K. Wilson-Chevalier, in Fontainebleau, 1985, 202-204, no. 147, Mars (Paris), as Boyvin after Thiry. Massari, 1989, 119, 120, as Boyvin after Thiry, based on Caraglio’s Gods in Niches after Rosso. This series of prints is one of the major sources of our knowledge of Léonard Thiry’s art. 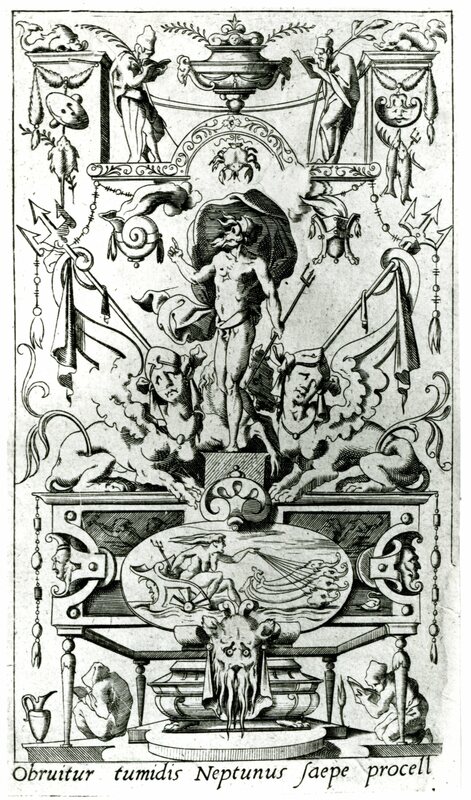 Although they have generally been recognized as engraved by Boyvin, Metman (1941, 206, 211, 313) suggested that they were by Milan and are the twenty plates of his “Les Amours des dieux” that were made before 29 March 1550. Zerner (1969, XXXV, n. 3, and in EdF, 1972, 332, no. 434, 333, 335, under no. 441) did not accept this identification. He believed their engraving style is close to Boyvin’s but found it strange that they are not signed by him. Borea (1980, 248, under no. 618) thought they were derived from Caraglio’s Gods in Niches. 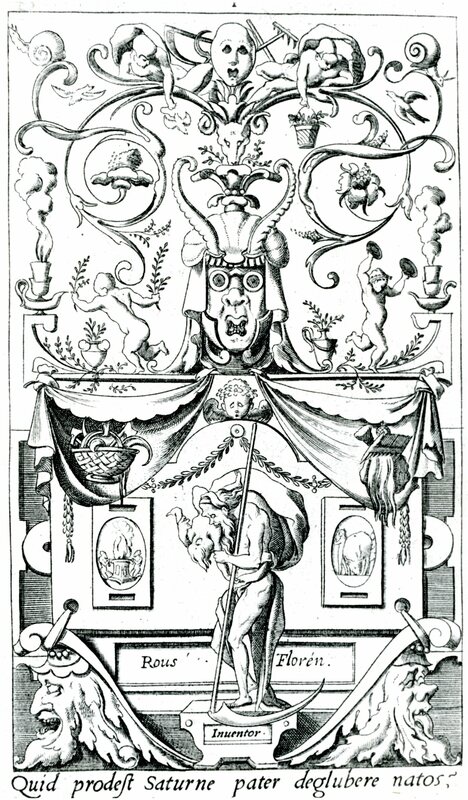 Very few of the figures of the gods and goddesses are related, and then only slightly, to Caraglio’s Gods in Niches. Only Proserpina is closely related to Caraglio’s print of this goddess. See also under E.26-45, DERIVATIONS, PRINTS. Number 5, Neptune, of the first set, that Herbet thought was lost, along with Thetis, Hercules, and Hebe, survives in an impression in Vienna, F.I.3, p.36b, no. 129 (Fig.Neptune, Vienna).